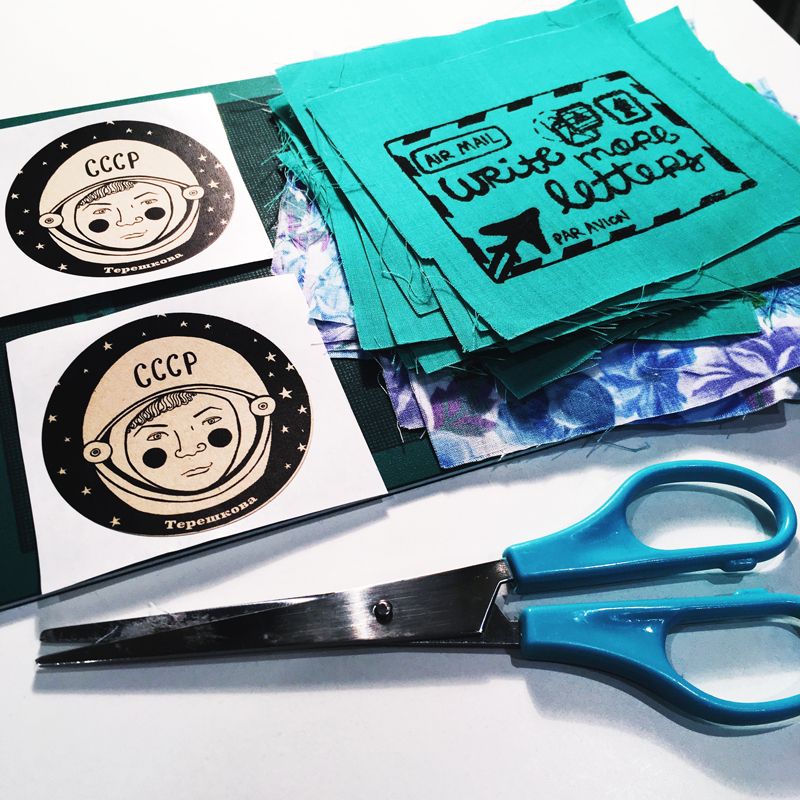 While unpacking my art stuff, I found some long-lost screen-printed patches, and some packets of kraft paper sticker blanks I had no memory of buying. So I rejigged some old artwork to create some stickers. The stickers are £1 for a pack of three, and the patches £1.50 each. Prices include UK postage. Find them here. I got my sticker (and letter) this morning, thank you!